Tumours that develop at the transition of the stomach to the oesophagus, so-called adenocarcinomas of the gastroesophageal transition (AEG), are still difficult to treat and the chances of recovery are still low. Researchers at the Comprehensive Cancer Center of MedUni Vienna and AKH Vienna have now been able to show that patients with non-metastatic AEGs have a better prognosis if their tumour cells produce the signal molecule PD-L1. The study has now been published in the top journal OncoImmunology. In Austria, adenocarcinoma of the gastroesophageal transition is diagnosed in about 500 people every year. At the same time, this is the type of tumour with by far the highest increase. Sebastian Schoppmann, Department of Surgery (Head M. Gnant) of MedUni Vienna and AKH Vienna, Head of the Gastroesophageal Tumor Unit of CCC and the present study: "The increase is alarmingly high. According to a study, one in 100 men in Europe will suffer from AEG in 2030. It is therefore particularly important to treat risk factors such as reflux early enough and to stop others, such as excessive alcohol consumption and smoking." The standard AEG therapy includes the surgical removal of the tumour, followed by chemotherapy and radiotherapy. Immunotherapy is also increasingly becoming part of the treatment, which is why the complex processes surrounding the immune response are of great interest to cancer researchers. The study team led by Dagmar Kollmann, Department of Surgery at MedUni Vienna and AKH Vienna, first author of the study and member of the CCC, investigated in retrospective work the patterns with which cancer and special defence cells (tumour infiltrating lymphocytes—TILs) form both the signal molecules PD-L1 and PD-L2 as well as the associated receptor PD-1. 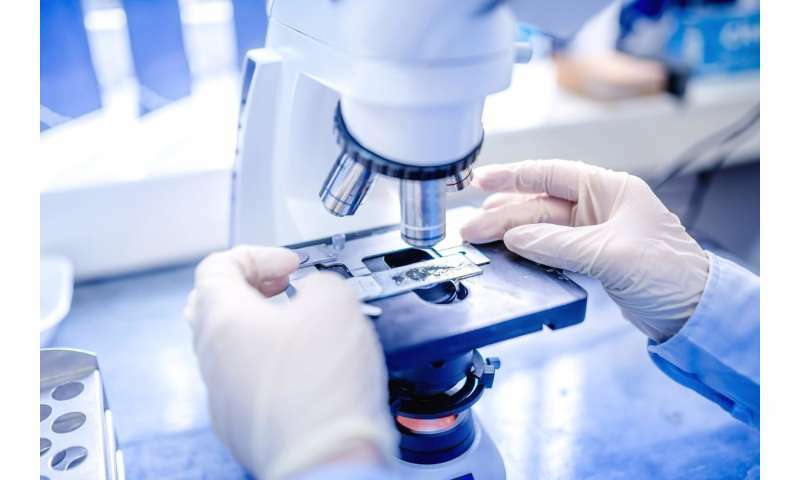 They analysed the tumour material of 168 patients and found that PD-L1 was detectable (expressed) in about 50 percent of cancer cells and TILs. The PD-1 receptor was formed in about 80 percent of the cells. They also found that the expression of PD-L1 in patients who had not been pre-treated with immunotherapy is an independent and powerful predictor of favourable disease progression, while the presence of PD-1 is associated with poorer development and an advanced stage of the disease. Schoppmann: "With our study we were able to identify a new biomarker that helps us manage our patients. In addition, the results suggest that all therapies directed against the PD-1 receptor, i.e. classical immune therapies, are also effective in AEG."